`At your age, people expect you to be calm, dignified and sober... Disappoint them.' `Save water - drink wine.' `Never eat healthy food. We so need all the preservatives we can get.' Bev Williams' hilarious greeting cards have brought wry smiles to the faces of millions. 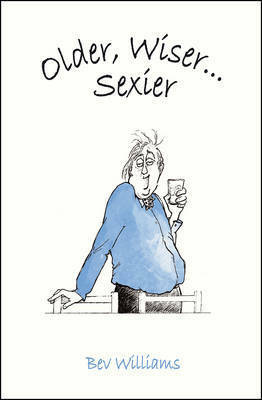 Older, Wiser, Sexier brings together the best of the cartoons - with selected witty quotations on food, wine and growing old gracefully - in two perfectly packaged gift books, one for men and one for women. These cheeky but charming books will make the perfect gift for that person in your life who may be getting on a bit but certainly isn't past it.